Since Donald Trump decided to run for president, Sean Hannity has been 100% on the Trump bandwagon. Indeed, his radio and television shows have served as an unofficial mouthpiece for the Trump campaign, like an American version of Putin’s Pravda. It’s caused the little that’s left of Hannity’s credibility to plummet and fellow Fox News host Megyn Kelly has had enough. Trump has refused to appear on Kelly’s show since their last interview earlier this year. The interview was a failed attempt to repair the rift between Trump and Kelly — Trump was furious at her for asking tough questions when she served as moderator for one of the primary debates. He responded by insinuating that Kelly was menstruating, saying she had blood coming out of her “wherever” and then launched a series of attacks on her for weeks. He demanded that she lay off of him and stop asking such tough questions, but she refused. Kelly thinks she may have figured out why Trump won’t appear on her show anymore though: he can appear on Hannity anytime he wants and knows that Hannity will ensure that Trump has a safe space where he won’t be asked tough questions, and will basically have an unquestioning host to parrot Trump campaign talking points. Notice that Hannity didn’t actually dispute Kelly’s assertion that his show serves as a safe space for Donald Trump, where he knows he won’t get questioned. And while Hannity, along with his pro-Trump defenders, bristled at Kelly’s accusation, they conveniently leave out the first part of Kelly’s statement, where she pointed out that Hillary does the same thing. She only appears on shows that she knows will be friendly to her, that will give her the questions in advance and won’t call her out on any of her scandals. 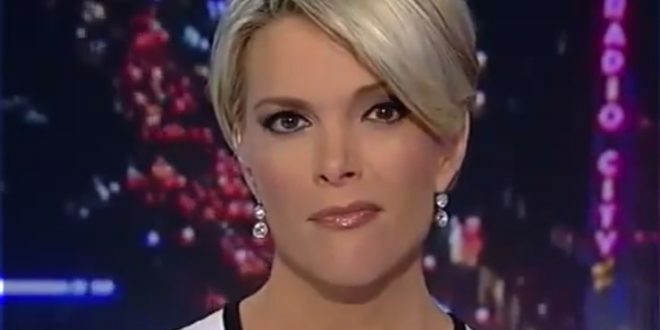 The problem isn’t Megyn Kelly not having sufficient adoration for Donald Trump. More journalists should be like Kelly, not like Hannity. They need to be willing to ask tough questions, even if it makes the politician angry. We don’t need more so-called “journalists” like Sean Hannity — or, for that matter, anyone who appears on one of the many liberal news networks — who treat their favored candidate with kid gloves and spend all their time slobbering over and defending them. It’s a sad statement on the news media today when a journalist gets criticized for asking too many hard questions.